Allows your character to use different animations from the others. THIS MOD BY ITSELF IS NOT ANIMATION REPLACER. Update 3.4 requires Dawnguard, users are strongly encouraged to update if Dawnguard is installed. If you simply want to tell people about this mod, please simply link them here. - Fix Dremora race using the same animations as yours. - Add more variability for plugin (DLC ? Skyre-Race? Requiem?). Remove exclusive path for "Chair_IdleChildBaseVar1.hkx"
Remove exclusive animation for 1hm_equip.hkx to vanilla path. This way it will solve NPC "don't have their swords after equip"
solve the issues about elder race having the same animation with PC. Fixed an issue where equipping magic on left hand while moving renders players unable to attack or sheathe their weapons. Now REALLY, REALLY FIXED. WARNING: READ THE INSTALLATION PROCEDURE BEFORE USING THIS MOD. NMM Installer for Update 3.5 has been released. Why I skip the version ? v3.3 in dev(for vanilla skyrim wihout update.esm) was still have bugs for the plugin so I'm not upload it. I skip my plan to v3.4 where I add Update.esm and Dawnguard.esm as master file for PCEA plugin. This way I managed to reduce some issues that I encounter before. Click on the Latest Version number to see the full changelog. 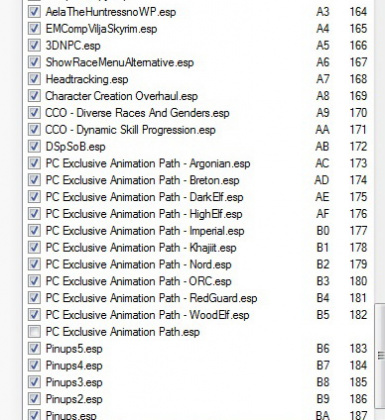 Every single person in Skyrim shares the same animation path. This means, whenever you use that awesome animation mod you love, everyone will use the same animation, rendering it generic and not special at all. This mod allows you to use custom animations without NPCs using them, thus making you "special"
This mod provides an alternate folder for animation data. Usually, everybody shares the same folder, so they all use the same animation. By providing an extra source of animations, the game can play two kinds of animation of the same type! To that end, this mod forces all vanilla races to read animation data from ["Data\meshes\actors\character\animation\PCEA\"], leaving the vanilla path open for custom races to use. there is no way to get around that. The reason is because you cannot animate individual actors in Skyrim, you animate the whole race instead. 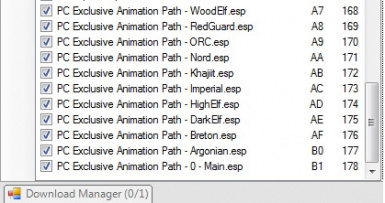 A better description of this mod would be "Race Exclusive Animation Path", but since I personally use a custom race, this mod does give "PC Exclusive Animation Path" for me. If for some reason you have a personal vendetta against custom races (maybe you're a Loremaster) use CUSTOM RACES by d_rail. In layman terms you'll be able to use this mod with "vanilla races"
6. Click "Update FNIS Behavior"
PC (custom races) = use "Data\meshes\actors\character\animation\"
NPC (vanilla races) = use "Data\meshes\actors\character\animation\PCEA\"
If you want to make a vanilla race use the normal folder then simply deactivate the corresponding plugin. So, if you want that only Argonians to use the normal animation path, deactivate PC Exclusive Animation Path - Argonian.esp and leave everything else activated. actually the usual .hkx files, only renamed. I do not redirect attack animations because for some reason a bug appears when playing un-original versions of these animations (even if you just change the path). Technically speaking attacking while standing still, walking (any direction), running (any direction) all use different animations. The bug skips the first attacking animation every time you switch from any of those 3 conditions, while the attack still registers correctly. Q: How do I replace the animations? A: Refer to How To Use section. You replace animations like usual. 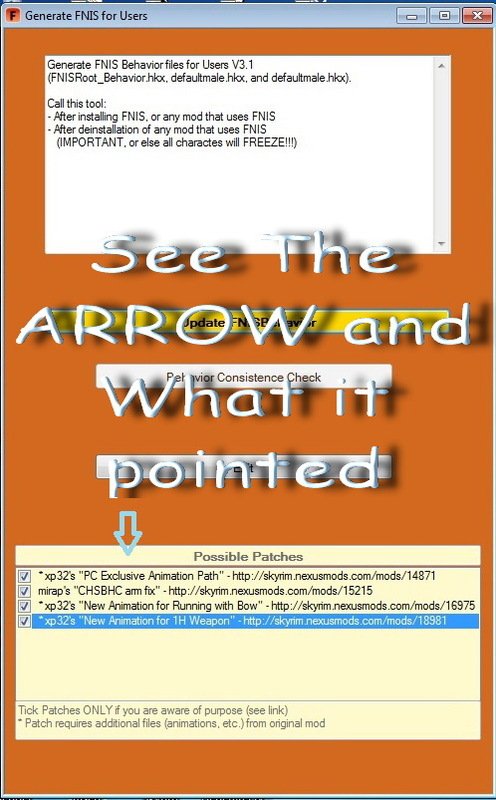 Q: I followed the Pictorial Guide but I still can't get the mod to work? Q: Is this mod compatible with [insert your favorite mod here]? Q: Have you tested your mod with [insert your favorite mod here]? Q: Are you going to support [insert your favorite mod here]? 3. TheFigment. Without hkxmcd, any kind of hkx editing can't even exist!